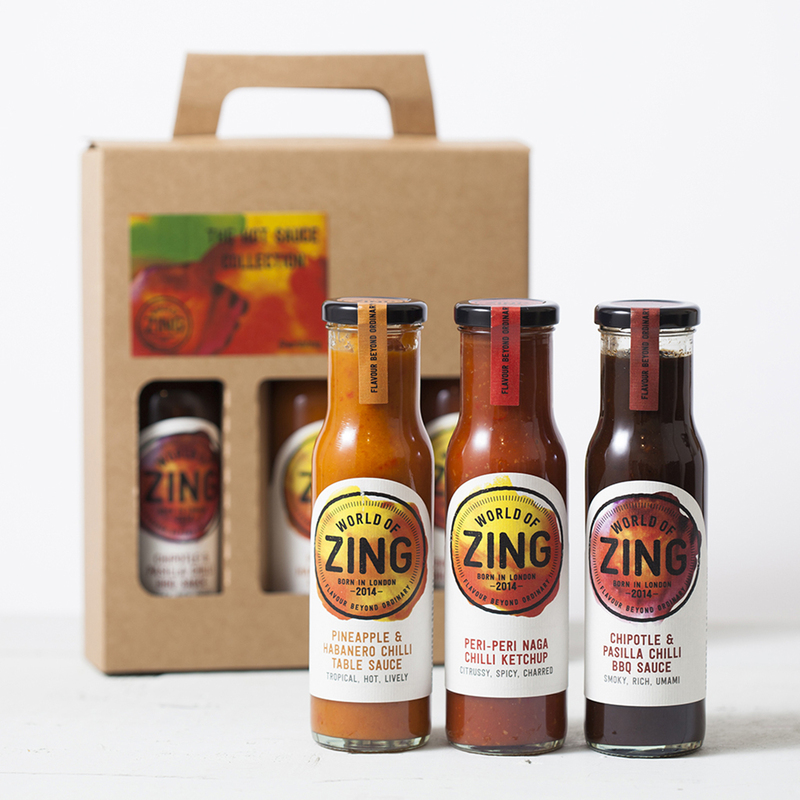 Banish the bland and bring some zing to your dishes with the World of Zing Hot Sauce Collection. Naga Chilli Piri Piri Ketchup - A hot and citrussy slap-it-on-everything ketchup. It’s the ultimate accompaniment to burgers and fries! Or mix with mayo and serve with cooked prawns, lobster and crab for the best seafood cocktail ever. 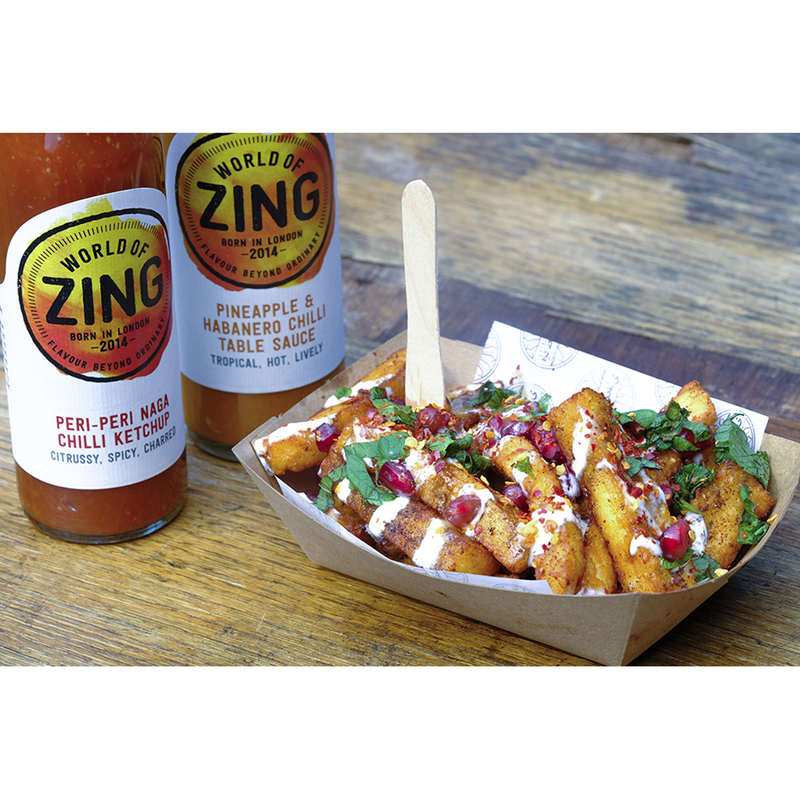 Pasilla & Chipotle Chilli BBQ Sauce - A rich, smoky sauce with subtle fruity notes of Pasilla chillies. Serve as a side to wings, ribs and meats or mix with honey for a speedy BBQ marinade. 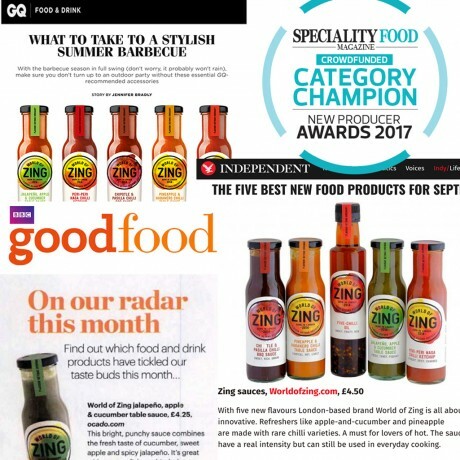 Pineapple & Habanero Chilli Table Sauce - This fiery, fruity hot sauce is great for zinging up your barbecued dishes, salads and marinades. 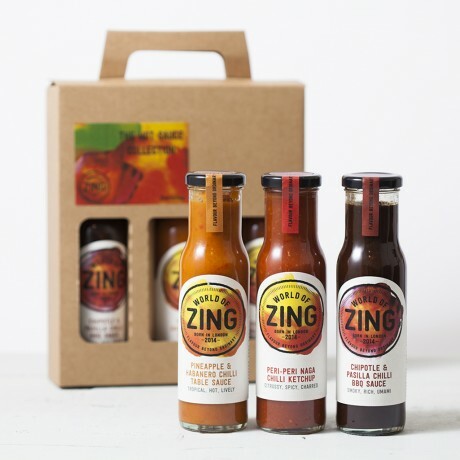 Serve with grilled or BBQ'd chicken, pork or fish, fresh seafood, chargrilled veg. Even add a dash to your Margarita cocktails!